I bloody love my job sometimes. I sing with a local choir and, the other month, we did Walking On Broken Glass. I was lucky enough to get the solo. I spent weeks watching the video on YouTube (fun fact – Hugh Laurie co-stars), listening to it on repeat on my iPhone, angrily mouthing the words at baffled commuters, getting home and working out what gestures I wanted to make, before singing miserably/violently at myself in the mirror. When it came to performing it, I have no idea if it was any good, but I enjoyed it. 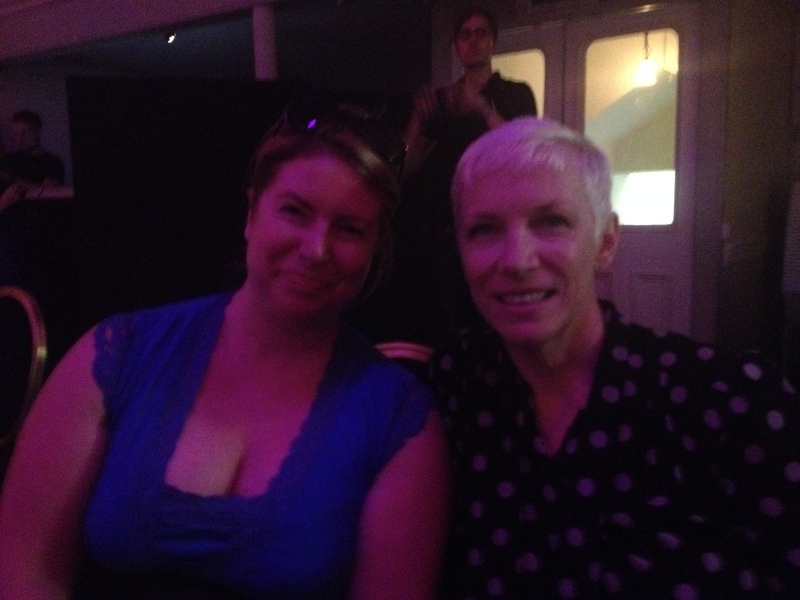 So I was over the moon on Monday (September 8) when I was offered the chance to go to a preview of Annie Lennox’s latest album, Nostalgia, which is out on October 27. It was a journo’s dream – free bubbly, free food, fascinating conversation with a fellow journo from a Swedish national paper and, of course, meeting slebs. You can read the piece I wrote for Metro.co.uk about Annie’s thoughts on modern life and finding happiness here. I didn’t mention in the piece that she was talking ten to the dozen, which was a great test of my shorthand, or that she broke off in several places to sing the odd line. She didn’t sing me any Walking On Broken Glass, but I did get a bit of Sweet Dreams. ← Does anybody (other than the Scots) care if they stay or go?